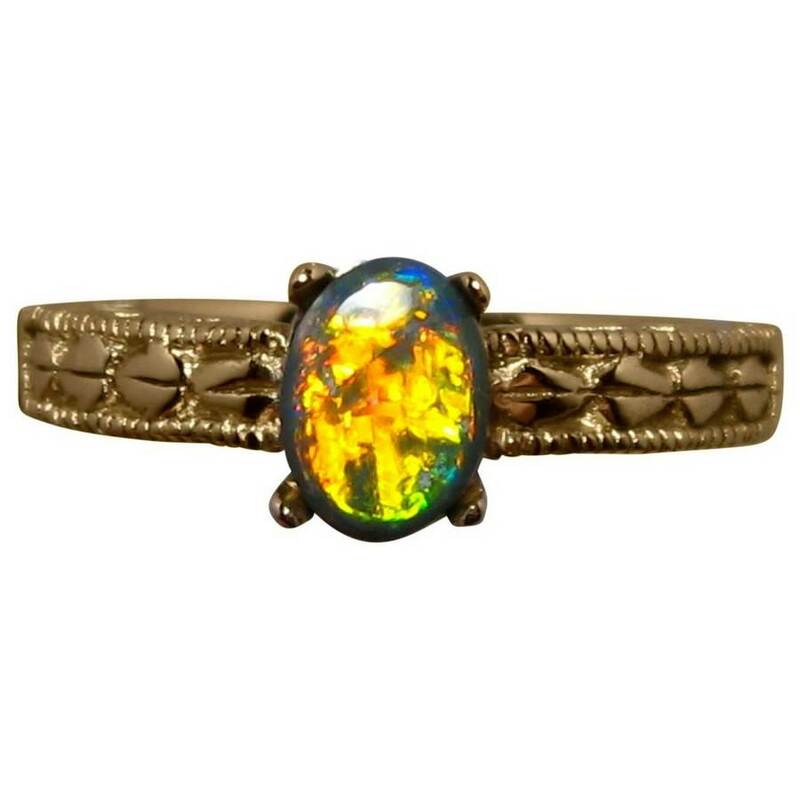 An amazing Black Opal ring for women in 14k Gold with an oval Black Opal displaying a vibrant mix of colors. 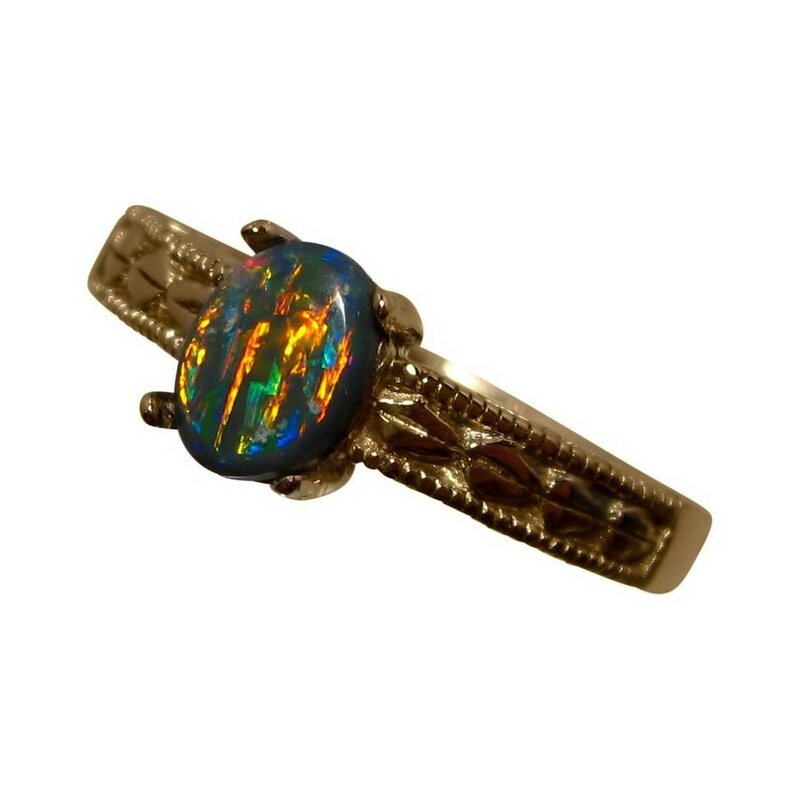 An exceptional Black Opal ring that although set with a small Opal, the colors are many and very bright. 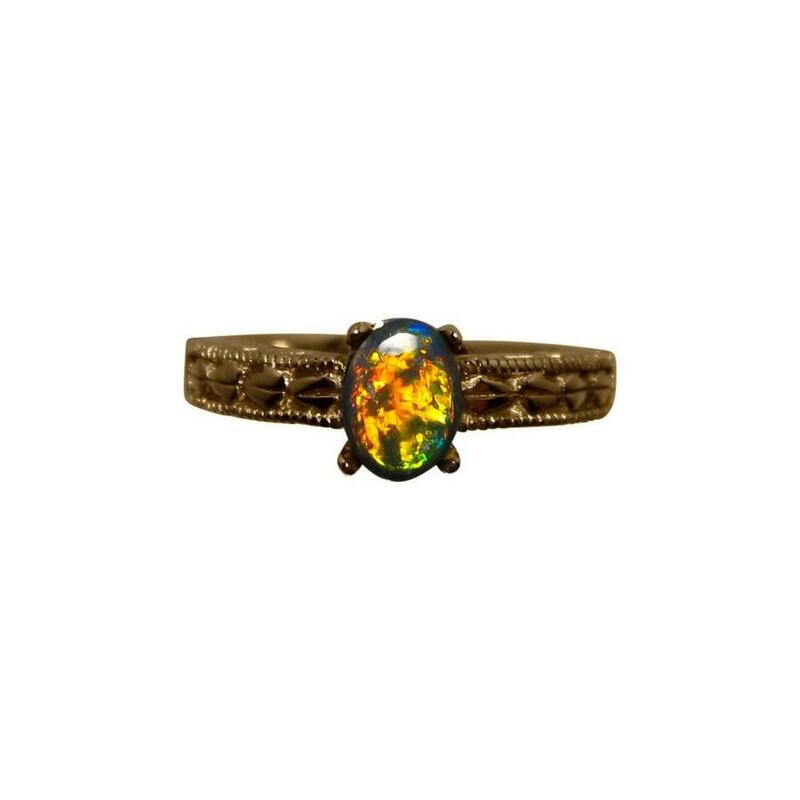 The Lightning Ridge Black Opal is oval and weighs .65 carats and displays brilliant Orange, Yellow, Red, Blue and Green in a stunning play of color which you will see in the video below. 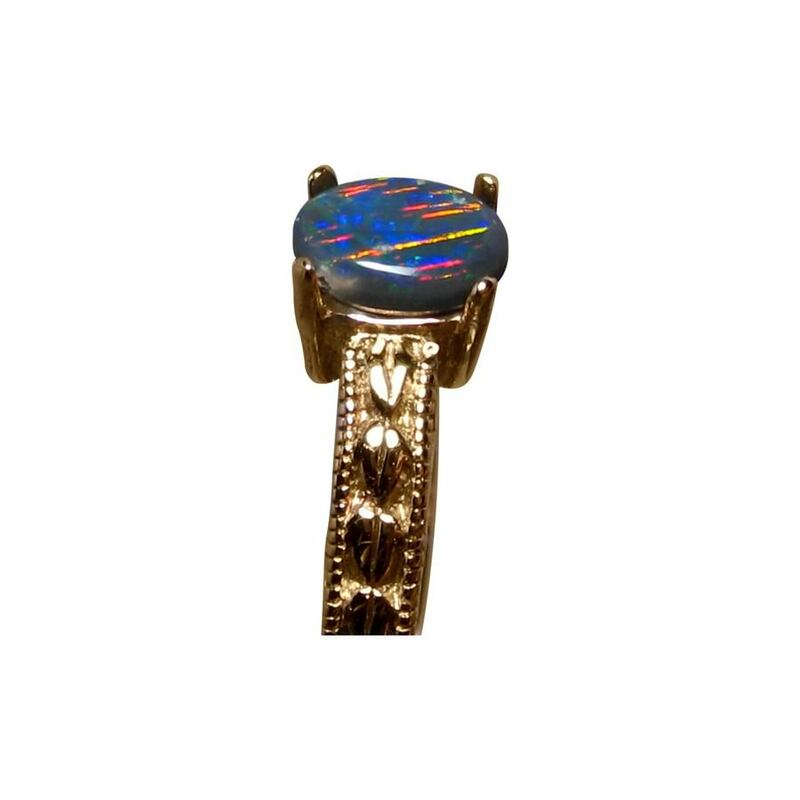 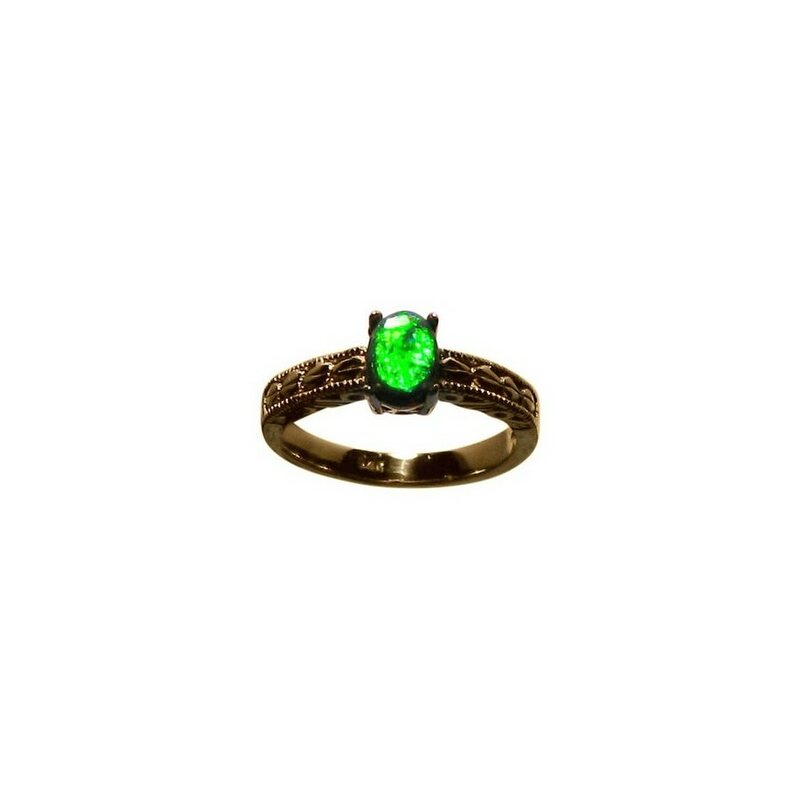 The Black Opal is shown in a 14k Gold ring with a detailed straight band however, as the stone is not yet secured, you can have this amazing Black Opal set into a different ring or pendant mount. 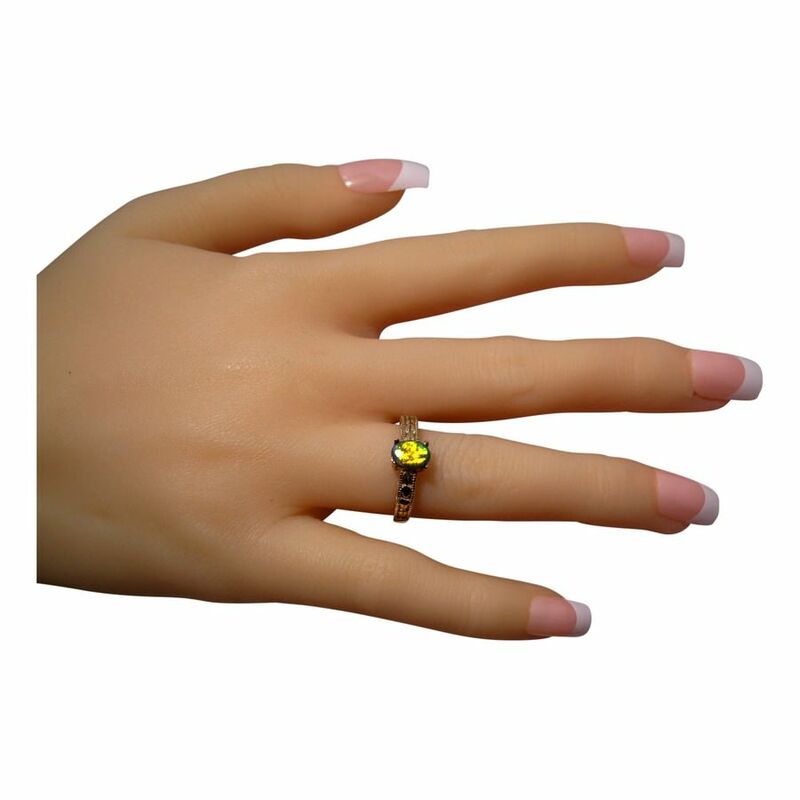 Contact through the 'Ask a question' link on this page for a no obligation price. 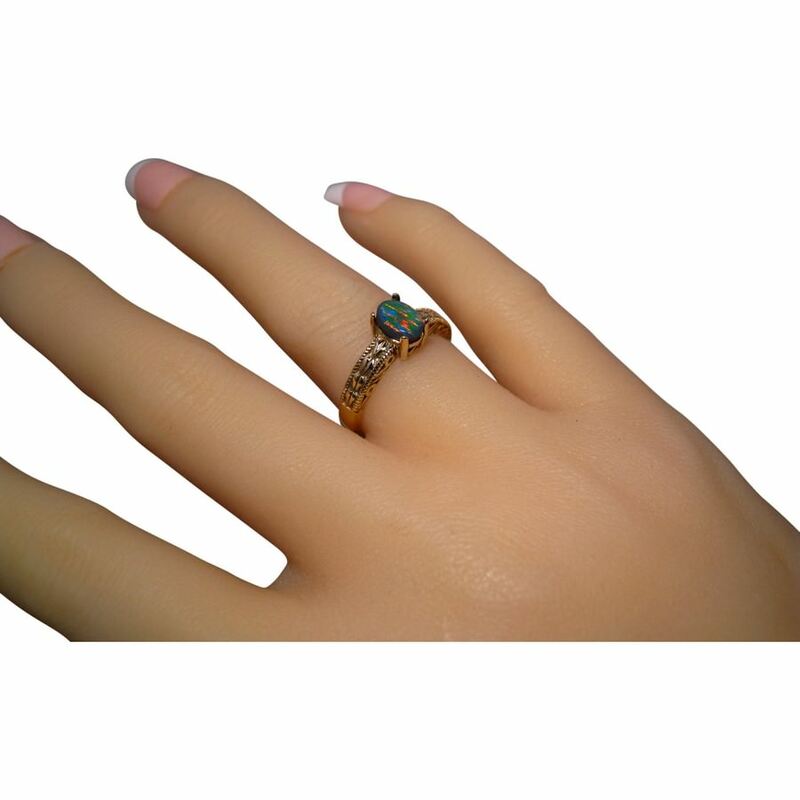 This quality Black Opal ring is ready to ship as detailed below or will take 7-10 days to make in any other ring size or Gold color before shipping to you.